As a painter uses paint, so Ellen Lindner uses fabric. She cuts and a places piece of cloth, creating a composition, then adds stitching for structure and texture. Lately, her work has been getting some publicity and accolades. 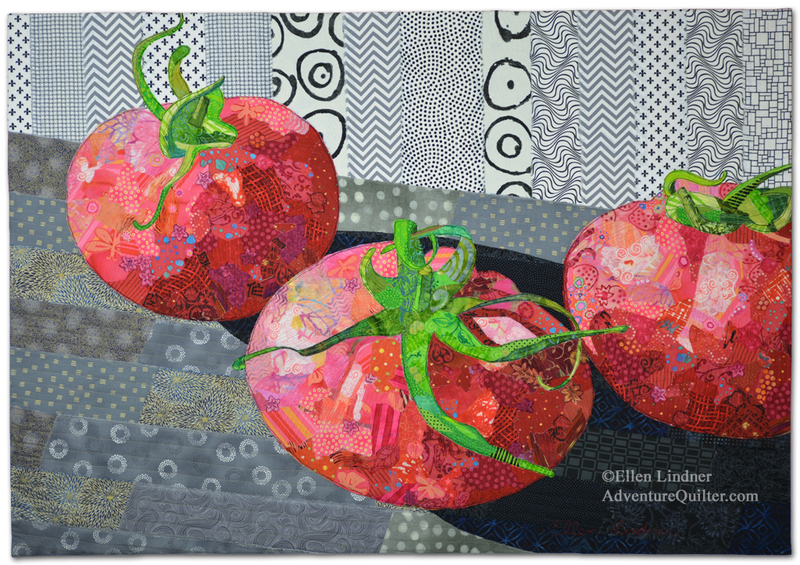 “Vine Ripened” is featured in the current issue of Art Quilting Quarterly. In addition, this piece won first place in the Mixed Media category at the North Brevard Art League’s Spring Show. 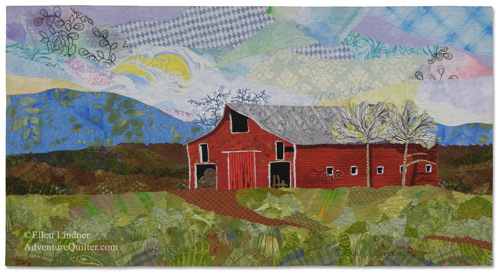 Having grown up in the country, Lindner has several fabric collages showing rural life. Machine Quilting Unlimited has included two of these in the current edition, in an article about art quilts focusing on rural life. “Barn #8536” features a favorite barn near where Lindner was raised. 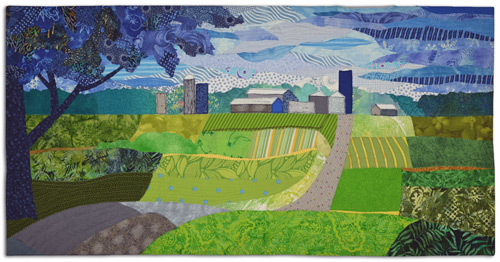 “Oak Green Farm” depicts the view when driving onto the dairy farm where she grew up.